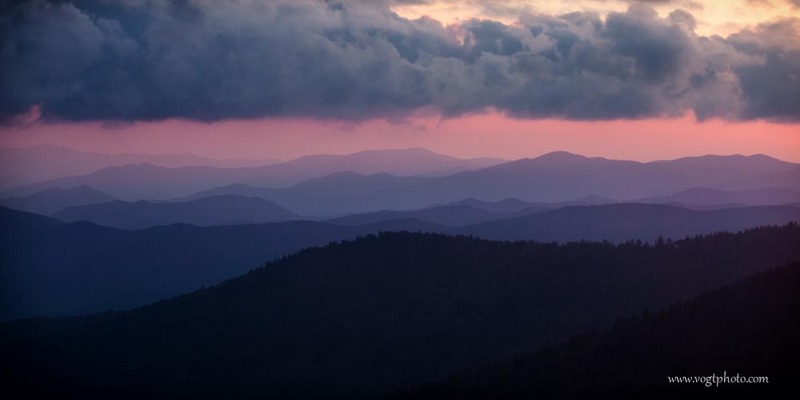 At 6,643′ in elevation, Clingmans Dome is the highest point in Great Smoky Mountains National Park, the highest point in Tennessee, and the third highest point east of the Mississippi River (the other two points are nearby in North Carolina). In late August, I spent several days in the area around Great Smoky Mountains National Park and spent most of the time visiting the more “touristy” spots in the park. I must say, after living for the better part of a decade in the Rocky Mountains of Colorado, with 54 mountains soaring over 14,000′, I under estimated how challenging hiking in the Smokies would be. After just a couple day hikes I was sore for several days! 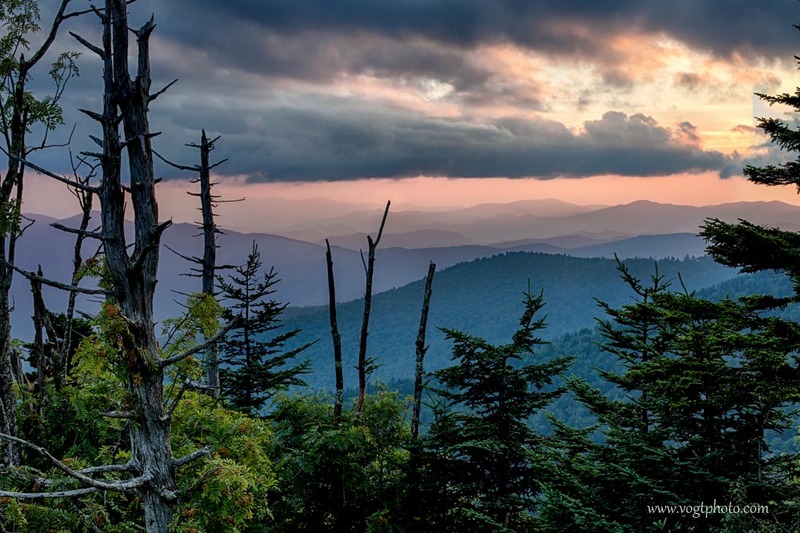 Although many of the hiking trails are challenging, getting to Clingmans Dome is easy; for most of the year, you can drive nearly to the top of it. In fact, all of the pictures below were taken from the parking lot at the end of the Clingmans Dome Road. 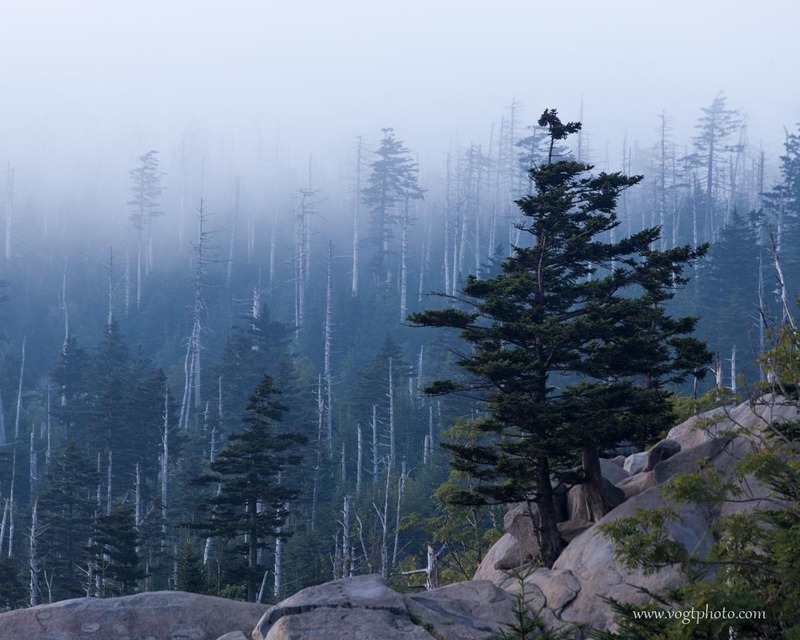 The “Smokies” got their name not from smoke or air pollution in the area, but the from the mist and fog that regularly forms in the area. In fact, during my visit, it was foggy every morning! Unfortunately, air pollution is a real problem. Prevailing winds blow in air pollution from hundreds of miles away. On a clear day, you used to be able to see more than 100 miles; views like that are a rarity anymore. The upper elevations of Clingmans Dome are covered in spruce-fir forests. Being so far south along the Appalachian Chain, these spruce-fir forests only live at the high elevations of the mountains. When hiking, I was just blown away at how diverse the plant and animal life is; in just a few hundred feet of elevation change, all of the plant life would change! That level of bio diversity was really neat to see. The diversity on the Smoky Mountains is in jeopardy. Even though the Smokies are protected in a National Park, the forest atop Clingmans Dome is being killed off by invasive insects. I only had time to spend one sunset at the top of Great Smoky Mountains National Park, but was lucky enough to capture a nice sunset. Even though I liked the images I took away from this location, I would happily return! 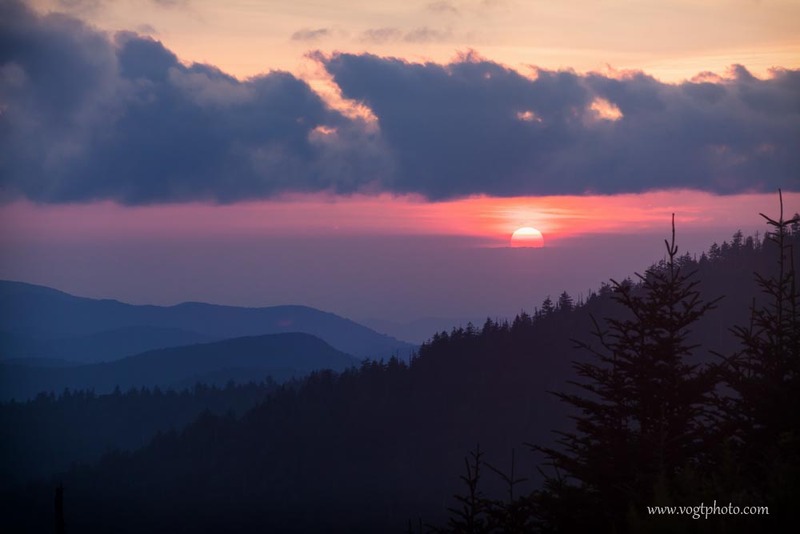 You’re captured the Smoky Mountains perfectly! Thank You! I am actually working on a follow up post showing off the waterscapes I photographed while in the Smokies; keep an eye out for it! I definitely will! Following you now!